Here at Heavenly Smiles we understand that some people have an extreme fear when it comes to dental treatment. Alleviating these anxieties is our commitment to all of our patients, and we work hard to achieve that commitment. Sedation dentistry is by far the best technique that helps us do so in many cases. 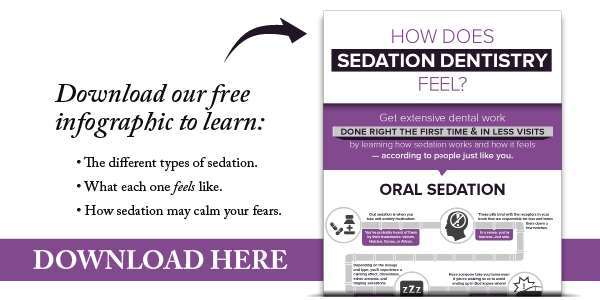 Sedation dentistry ensures patient comfort through medically-induced relaxation. At Heavenly Smiles, dentist in Lynnwood Dr. Nichole Martin uses several methods to help our patients achieve that relaxation. In most cases, nitrous oxide, along with a prescription for Xanax or Valium, provides an effective level of comfort. After sedation sets in, patients become much less aware of their sensations. Dr. Martin can then focus on the dentistry at hand, providing the excellent dental care you need for optimal health. We are also excited to now offer IV sedation dentistry (also known as “sleep dentistry”) to our list of options for you. Before treatment, you will receive a sedative through an IV which will work rapidly to create your deep relaxed state. Throughout the procedure your vital signs will be monitored and you will be able to breathe on your own which makes it really safe. When you wake up you will have no memory of even being worked on! If you have questions about sedation dentistry in Lynnwood, or have been putting off dental treatment because of anxiety, call Heavenly Smiles . We can assure your safety and comfort for the dentistry you need. "Being able to offer our fearful patients a way to get through their dental treatment is so rewarding. So many people avoid coming to the dentist because they are so scared. It is so wonderful to offer a way for those people to get their dental treatment done. IV sedation is also great for people who are not fearful of the dentist but have a lot of treatment to get done. With IV sedation we can perform more treatment in one appointment making it more convenient for those with a busy schedule."